For Christmas the kids got a sled from Santa. With all the hills in our neighborhood it would be a crime to miss a chance to sled down them if we didn't have a sled. As luck would have it two days after Christmas we got our first and only snow (so far) of the season. The snow however would be short lived. The snow fell during the night and by the time the sun had come up it was already melting away. To take advantage of the situation I drug myself out of bed, got dressed, and took Alyce out into the snow. 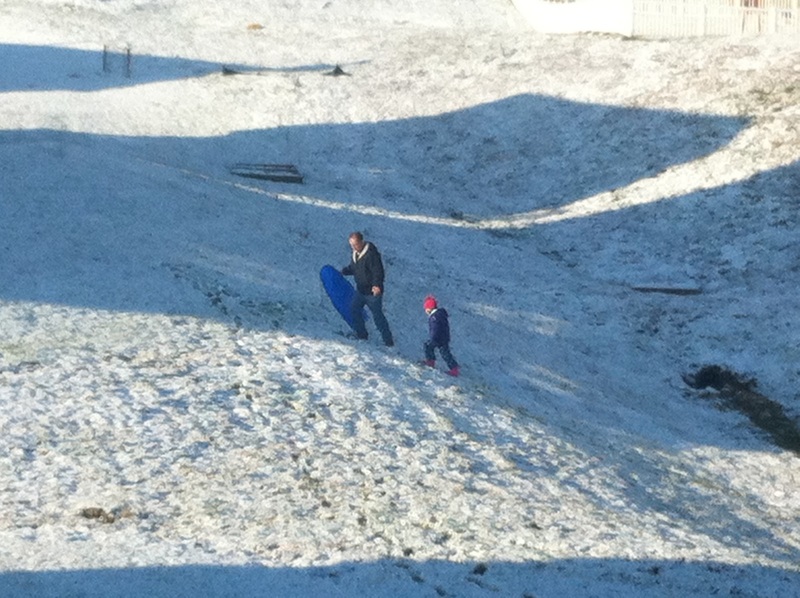 With maybe an inch of wet snow on the ground we took to sledding down the hill behind our house. The melting snow made a mess of the ground under our feet. We were lucky to keep our balance otherwise we would have come out muddy. Alyce took a few turns on the sled with me holding onto the rope directing her. Next I let her go down the hill on her own. 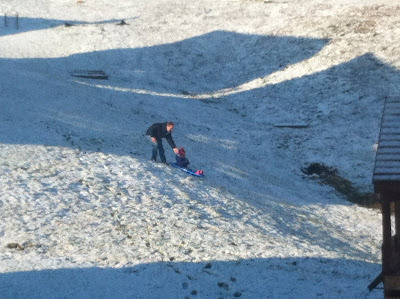 She wasn't too keen on that but for a 10' drop on a hill my assistance wasn't needed. We had fun kidding around too. 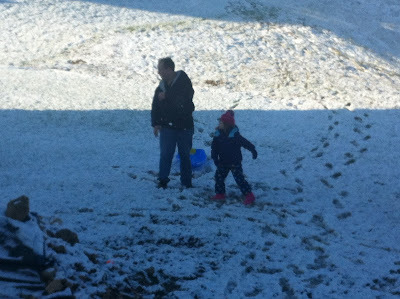 At one point Alyce said "hey dad let's have a race up the hill", turns and runs up the hill, a few steps into it she starts running and yells "go!". As our time wound down we walked back to the house. Alyce asked if we could have a snowball fight. So for the next few minutes I showed Alyce how to make some good snowballs and we tossed them at each other. A good time was had by all. An hour or so after we went inside the snow was no more. Hopefully we'll get a chance to use the sled again before the winter is over. 0 comments on "Sled While You Can"